At home, their corners and walls – the silent witnesses of many events taking place in families. Each event has its own energy – positive or negative. All anything, but they accumulate like dust in the corners of the home, negative energy destroys family life and, therefore, similar to how you deal with dust from the negative need to get rid of. Cleaning the premises can be carried out with the help of candles. - wax or paraffin candles. A quarrel in the family, arrival of guests, loud parties, melancholy and fatigue, family issues – this is not a complete list of readings to energy cleaning at home. In addition to emergency cases, should be cleaned regularly so as not to allow the negativity to stagnate in your home. Go to the Church shop and buy some Church candles – the number of rooms in your home. It should be remembered that bath, toilet, pantry, hallway, kitchen and other auxiliary facilities are considered to be in separate rooms. If something in you is protesting against the use of Church candles, or simply not around the Church benches – wax candles paraffin can be replaced from the nearby hardware store. Only the candle should be white. Memorize by rote any prayer. Your affiliation with any concession unimportant, because prayer is not the meaning and order of words, and vibration of the energy it generates. Even, "our father" or simply a sincere request to the Higher powers about cleansing your home from all evil. Light a candle, stand in the center of the room, which is going to be cleaned and will request (prayer) to a Higher power. While reading move the candle around itself, first against and then in a clockwise direction. After fire has removed all negativity from yourself, do some cleaning of the room. 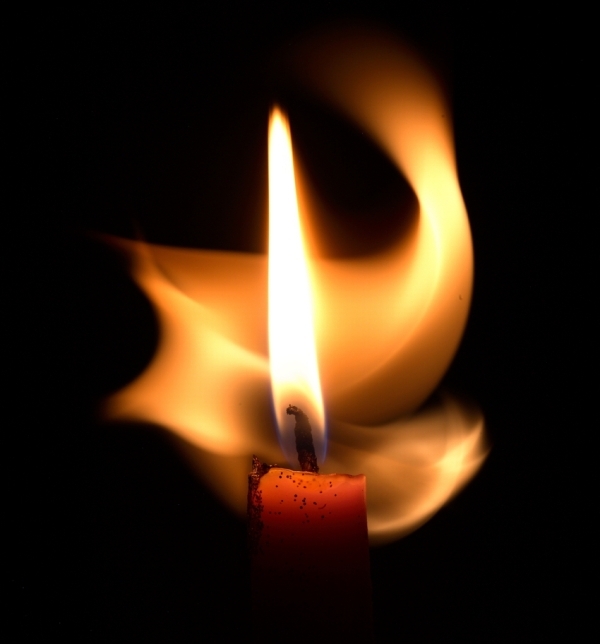 Go around it counter-clockwise, stopping in the places where the flame of the candle begins to worry and smoke. This action you take, to burn all the evil, all the dark that has accumulated in corners of the room and could harm you and your family. Then again go around with a candle at the perimeter of the room, but clockwise. So you saturate the room with a light of fire, positive energy. Place a candle in the middle of the room and let it burn out. Leaving the room, try to go to all the time be the face to the candle. By the way, leaving the room open fire, make sure that cleaning is not turned into a fire. Every room clean in the same way as the previous one. The main condition: a candle for each of the subsequent rooms is lit from the fire of the previous one. As in any cleansing ritual, women prior to cleaning of the premises is recommended to remove makeup and to pick up hair.